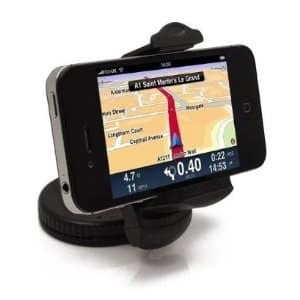 Click here to visit the Amazon site and you’ll be able to score a “Universal UniSuction 360 In-Car Windscreen Suction Holder Mount for Apple iPhone 3G, 3GS, 4, 4S / iPod Touch 2G, 3G, 4G” for $2.92 + free shipping. This has gotten 4.5 out of 5 stars. You can click here to view more of Sodial’s deals. *Keep in mind Amazon prices can change, so make sure it’s still $2.92 before you add it to your cart.